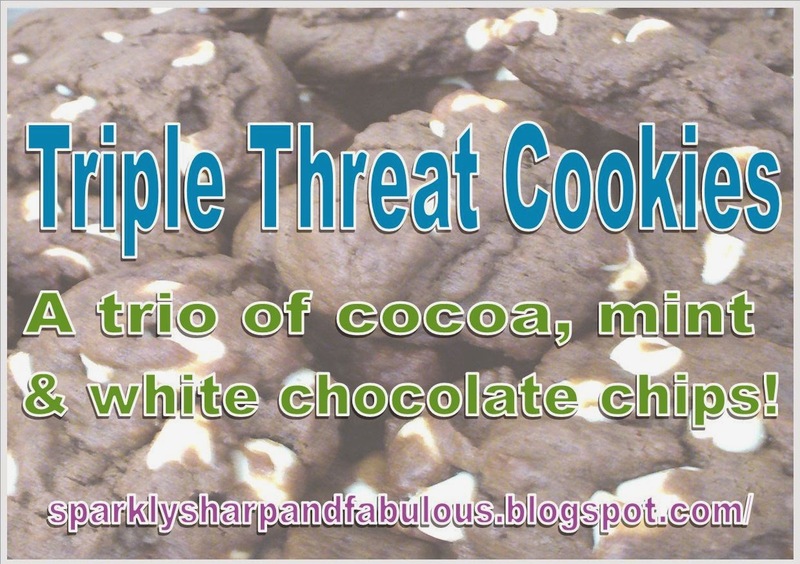 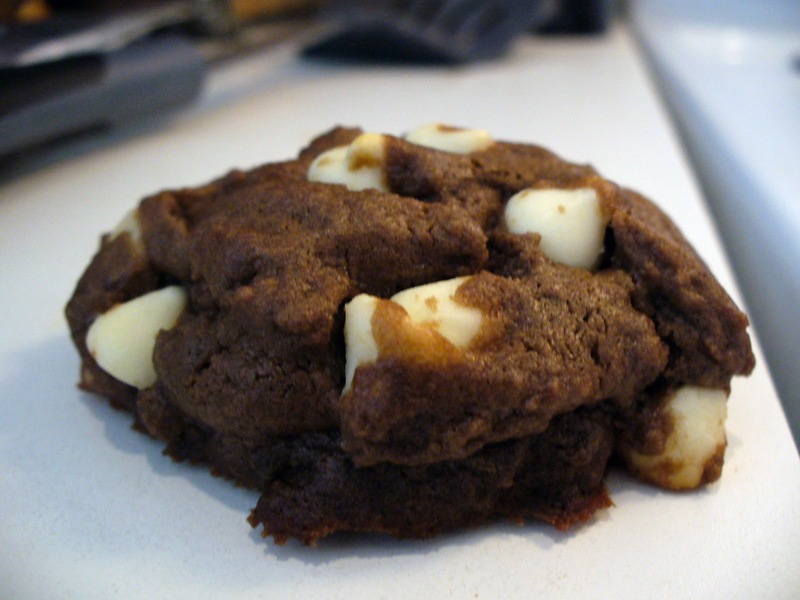 Triple Threat Cookies – A trio of cocoa, mint & white chocolate chips! 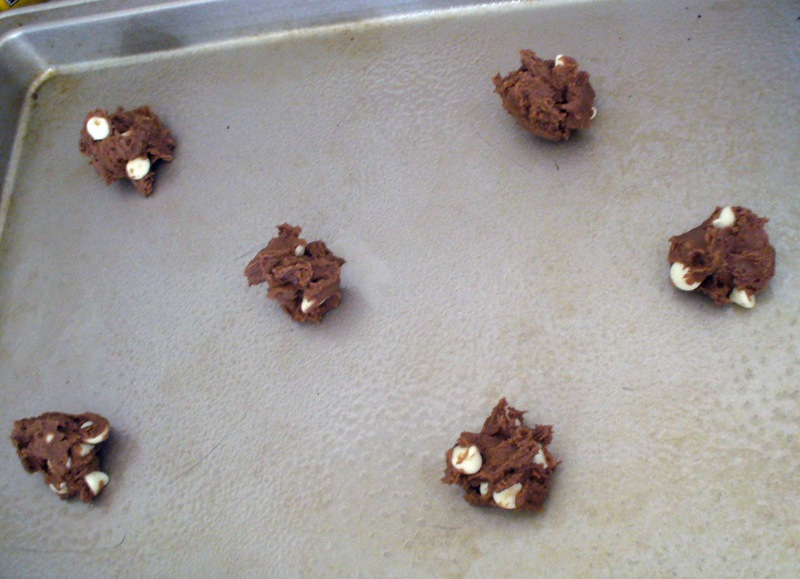 Scoop heaping teaspoons on the prepared cookie sheet. 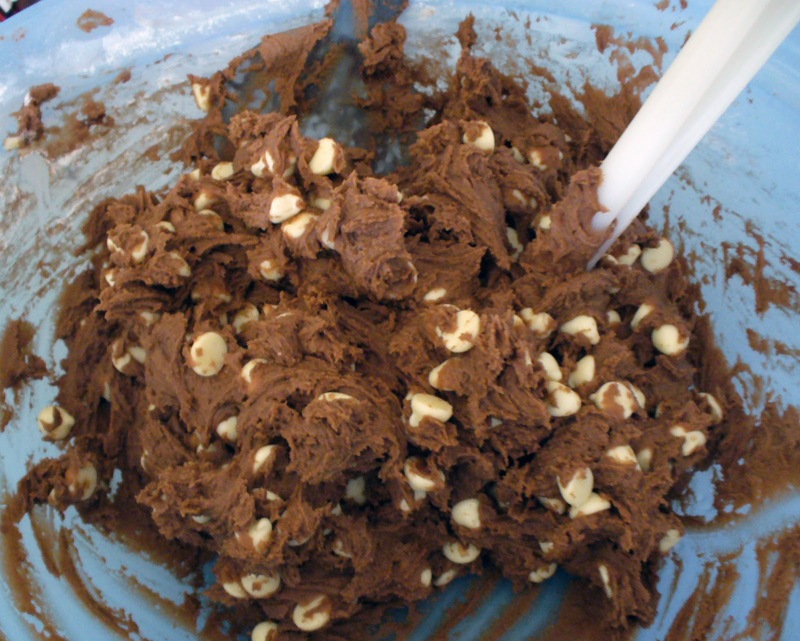 Spraying a nonstick spoon works wonders. 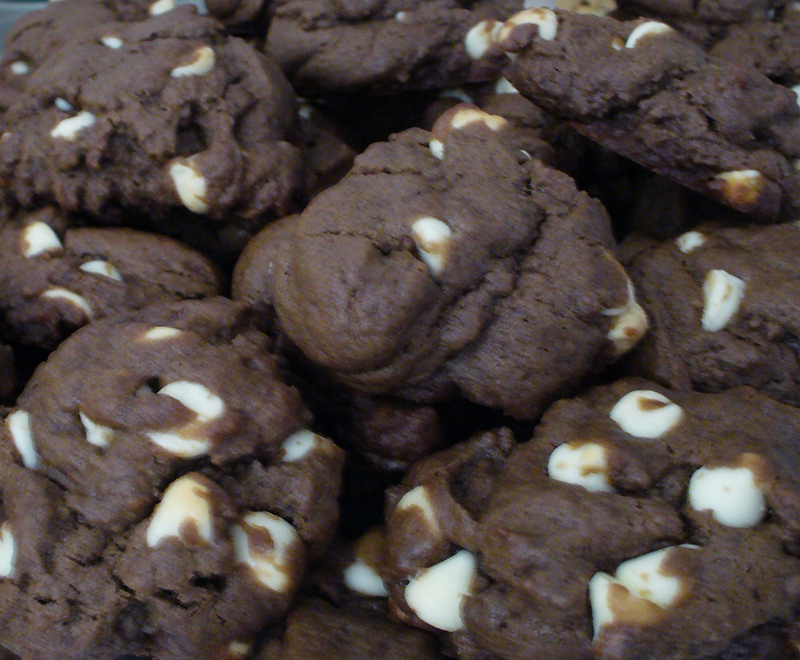 Try not to snack as you go! 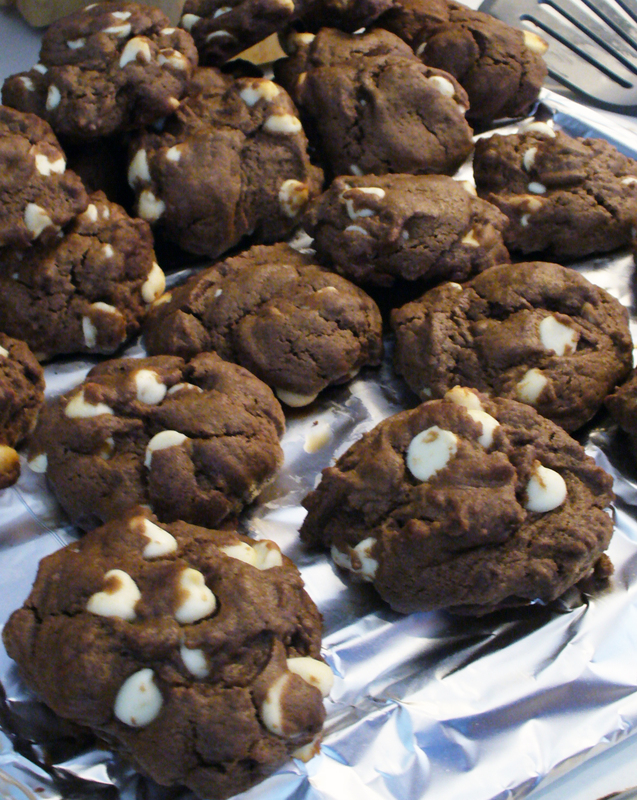 Make sure to leave decent space between cookies, they expand a little!